New Mexico is full of beautiful outdoor and indoor wedding venues in Albuquerque, Santa Fe, Taos, and beyond. Whether you're looking for a cozy venue perfect for an intimate wedding, or something more grand, I'm sure you'll find the perfect location listed below. And if you'd rather get married in nature with nothing but beautiful skies and amazing views, email me and I can help you find the perfect spot. You can also check out my article on the top 5 outdoor wedding venues in New Mexico. Paa-ko Ridge Golf Club | The greens at Paa-ko have an amazing view of the east side of the Sandia Mountains. Although it's located in Sandia Park, the golf course is conveniently only about a 30 minute drive from downtown Albuquerque. The staff is amazing, and the views from the venue's cliffs are stunning. Corrales Winery | The Corrales Winery is the perfect spot for a small intimate wedding or an elopement, and can accommodate 50 guests or less. The owners have curated a gorgeous rose garden to complement the beauty of the vineyards. A favorite feature of mine is the large willow tree that looks out to the Sandia Mountains. If you'd like to see the view for yourself, drop by for a complimentary wine tasting! Hotel Andaluz | Hotel Andaluz is one of my favorite hotels in Albuquerque because of its history and truly unique decor. Sophistication and vintage elegance are throughout the hotel's ballrooms, bar, and patio. The highly unique lobby makes for a stunning ceremony setting, especially with drapery hung from the balcony above. Hotel Andaluz has won numerous awards for its hospitality and earth-friendly green initiatives. Casa Rondena Winery | There's no place in all of New Mexico quite like the winery at Casa Rondena. Whether you're a wine connoisseur or not, you'll fall in love with the peaceful grounds and historic buildings at New Mexico's oldest winery. Casa Rondena has multiple indoor and outdoor ceremony and reception locations perfect for small to medium sized weddings. El Zoccalo Plaza | I love the traditional New Mexico charm in this quaint event space. El Zoccalo's unique courtyard layout provides both indoor and outdoor space for small to medium sized ceremonies and receptions. The historic building is located in downtown Bernalillo, just 20 minutes from Albuquerque. Nature Pointe | Rustic meets southwestern at Nature Pointe's clubhouse in Tijeras, New Mexico. The venue offers unique spaces for both indoor and outdoor ceremonies, receptions, and cocktail hours. The grounds include a rock fountain (the perfect ceremony backdrop), pine and aspen trees, and a pond complete with fish and a bridge. Downtown Historic Bed + Breakfast | If you're planning a small wedding with vintage charm, this is the perfect venue! The B+B's houses are full of history and beautiful antiques. The grassy back yard of the main house is perfect for an intimate ceremony or reception. I loved exploring the B+B when I photographed a retro-themed wedding styled shoot. Sandia Resort | Whether you're planning a large or small wedding, Sandia Resort has beautiful options for you. Ceremonies take place on the golf course, the resort patio, or at the newly constructed event center. Numerous ballrooms are available to accommodate any size party. The best part about weddings at the resort is the amazing, up-close views of the Sandia Mountains. 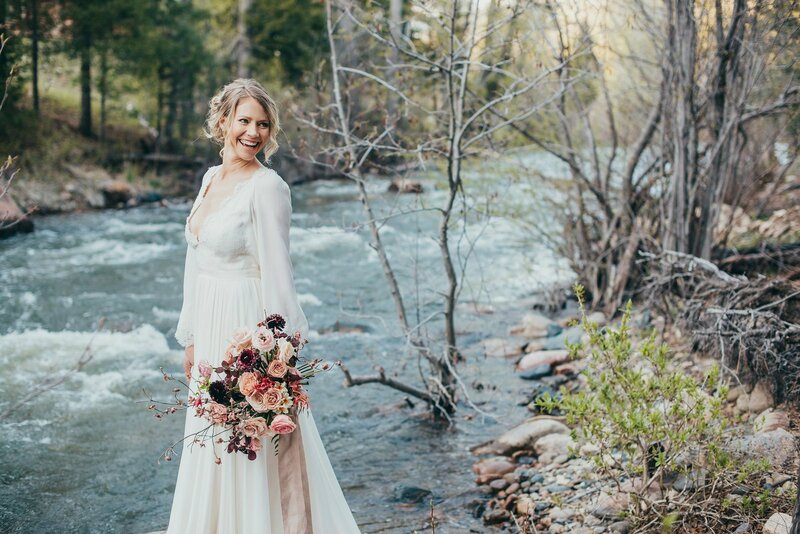 Hyatt Regency Tamaya Resort | Elegant ballrooms, incredible mountain views, and expanses of bosque are part of what makes the Tamaya Resort one of the best wedding venues in New Mexico. The resort has a number of indoor and outdoor options and plenty of rooms to accommodate your out of town guests. The resort's grounds are beautiful year-round and often have incredible sunset views. 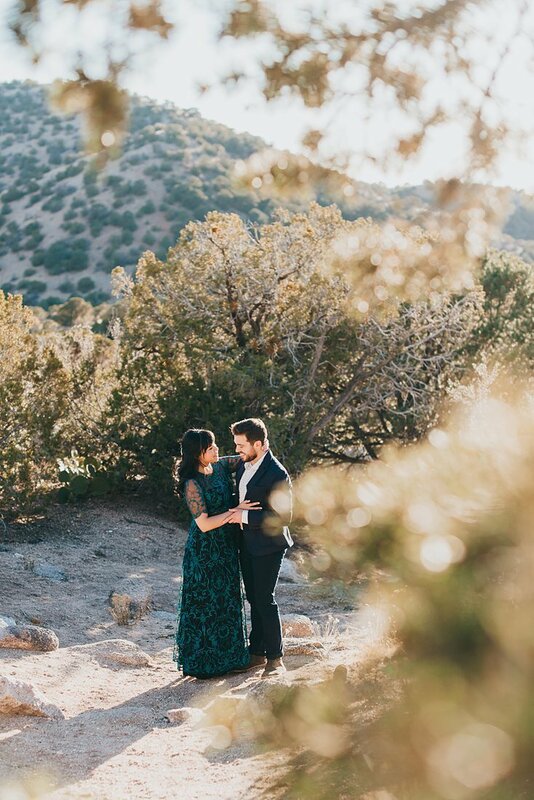 Noah's Event Center | Albuquerque's newest wedding venue is truly unique in our city. The architecture of the building has a great east coast vibe with brick, high ceilings, and beautiful wainscoting walls. The event center, located on the west side of Albuquerque, has a large ballroom, indoor and outdoor ceremony spaces, and even a special room for each the bride and groom to get ready in. Hotel Albuquerque | Hotel Albuquerque isn't one of the city's most popular venues for nothing. The lush greenery of the gardens and the quaint adobe chapel are both perfect options for gorgeous ceremonies. The grassy patio is a great reception spot in the warm summer evenings, while the fireplace room makes for a cozy and intimate reception for winter weddings. Casa de Suenos Inn | Casa de Suenos is one of Albuquerque's cutest bed and breakfasts. Ceremonies in the courtyard are cozy and full of greenery. Guests can stay in the inn's New Mexican-inspired rooms that surround the ceremony site. It's the perfect spot for an intimate wedding or small to medium ceremony. El Monte Sagrado | El Monte Sagrado is one of my absolute favorite Taos venues. The resort has beautiful grounds and gorgeous details inside. The waterfalls and pond, along with willow trees and flowers makes it a perfect place for romantic photos. 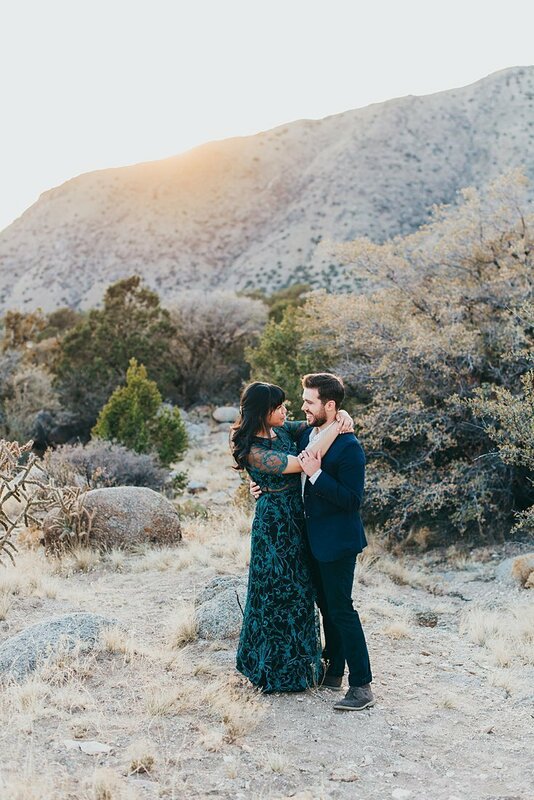 Camp Washington Ranch | An oasis in the desert, Washington Ranch is one of New Mexico's best kept wedding venue secrets. The ranch is located just outside of Carlsbad and boasts beautiful trees, a small lake, and even a creek. Couples have the option of celebrating outdoors on the ranch's beautiful grounds or inside the ranch's main house. Guests can also opt to lodge in one of the property's stone cabins. Pajarito Ski Lodge | In the mountains of Los Alamos, New Mexico is a hidden gem for weddings. If you love mountains as much as I do, you'll fall in love with the ski lodge's green hills. Hyde Memorial State Park | A place near and dear to my heart (where I had my own wedding), Hyde State Park is one of Santa Fe's best wedding venues. Up a winding mountain road you'll find the lodge at Hyde amidst the pine and aspen trees. Pick the perfect ceremony spot - up on the hill overlooking the park, on the back patio, or even on the front porch. The lodge's rustic stone and wood beam interior is a great place for guests to enjoy treats. The woods around the lodge bring a natural beauty to the whole affair. There's even a small stream and old bridge a short walk down the hill. La Mesita Ranch | Just north of Santa Fe, La Mesita Ranch is on an incredibly beautiful expanse of over 400 acres. The ranch has many ceremony and reception spots on the grounds, both indoor and outdoor. Thanks for getting in touch! I can't wait to chat with you about the awesome adventures you've got planned! You can expect a reply from me usually in 48 hours or less.